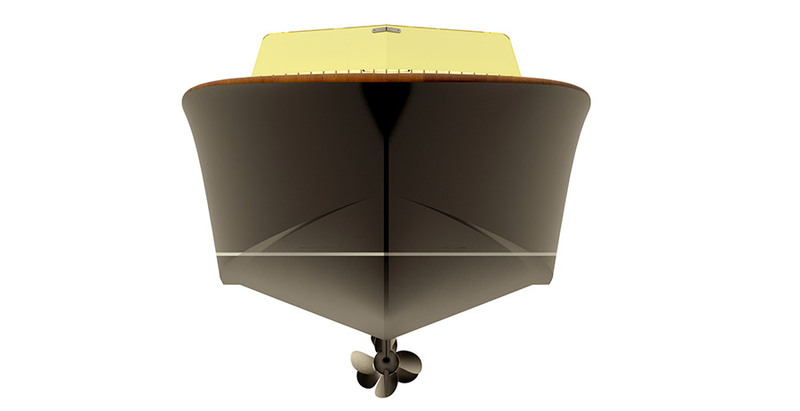 Latitude 46 is the famed shipyard of architects Michel Joubert and Bernard Nivelt – owned by Christian Iscovici – who have been crafting yachts and motorboats on the Ile de Ré for over twenty-five years; their work preserving age-old French boat building skills coupled with new technology. 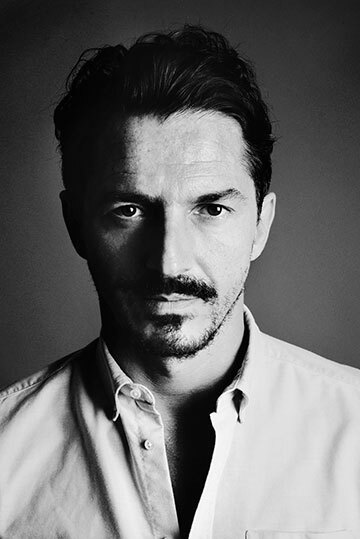 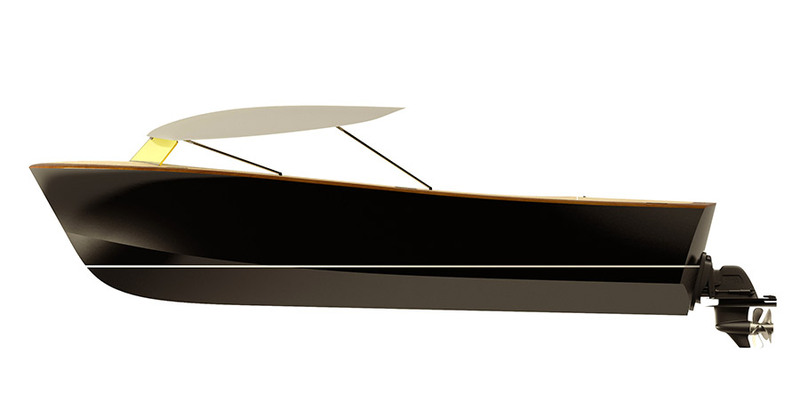 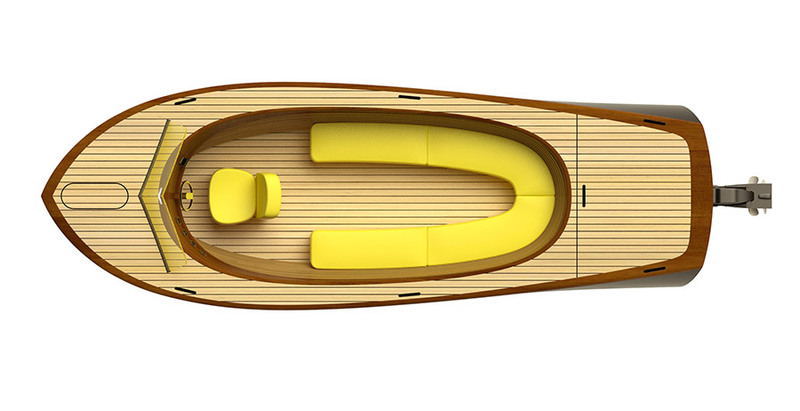 Both factors harmonise perfectly with the work of Thierry Gaugain, former head of design at Starck studio, who himself brings twenty years of experience in yacht design to their new joint venture : a vintage-inspired runabout equipped for the 21st century. 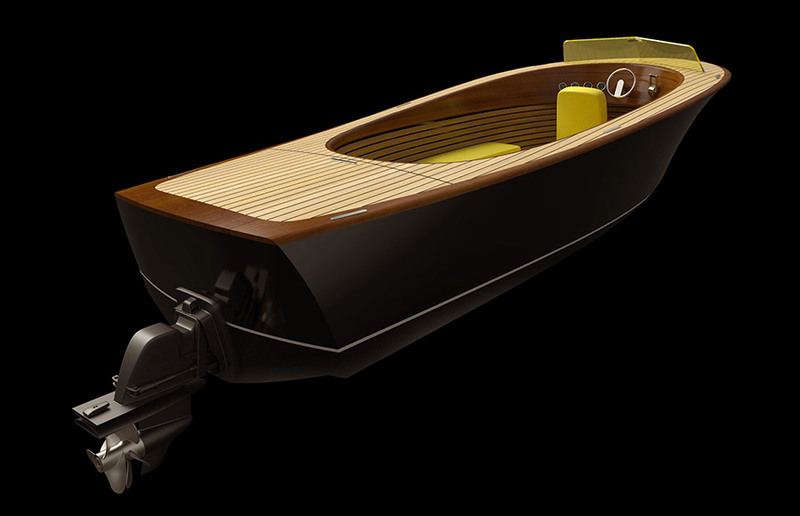 Harking back to the legendary gentlemen’s launch boat of the 1930s and the iconic wooden runabouts of the 1950s, this stylish teak motorboat features modular spaces, customised weather protection and a range of bespoke design options like varnished mahogany joinery and marine leather sofas. 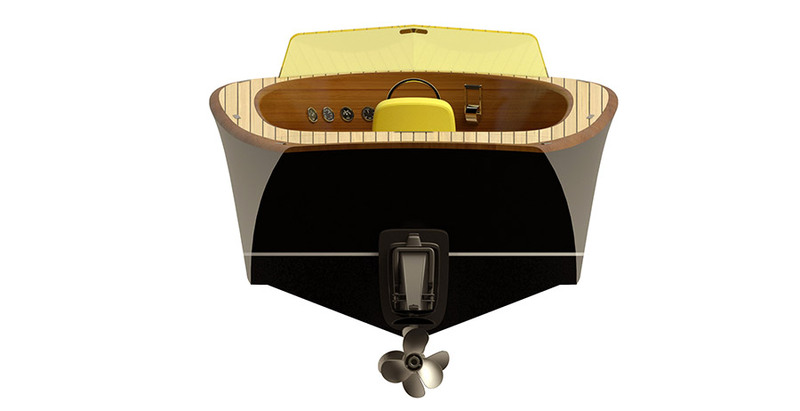 A V8 320 Hp Volvo engine is housed in a naturally ventilated and soundproofed engine room, for a top speed of 40 knots.